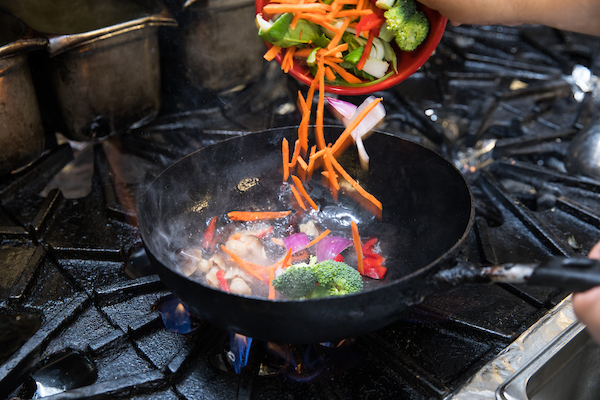 The beauty of a perfectly executed stir fry is that it’s always exactly what you’re craving because you’re in control. A customized bowl of stir-fry is a good, satisfying option if you’re hoping for a healthier meal, too. 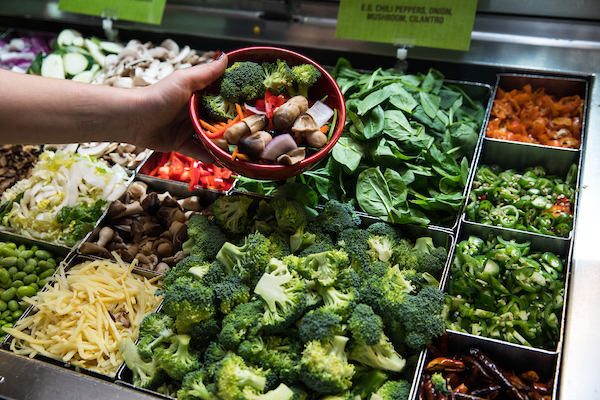 Take a trip to Big Bowl’s stir-fry bar, load up your bowl with fresh vegetables, and let the chefs do the rest. 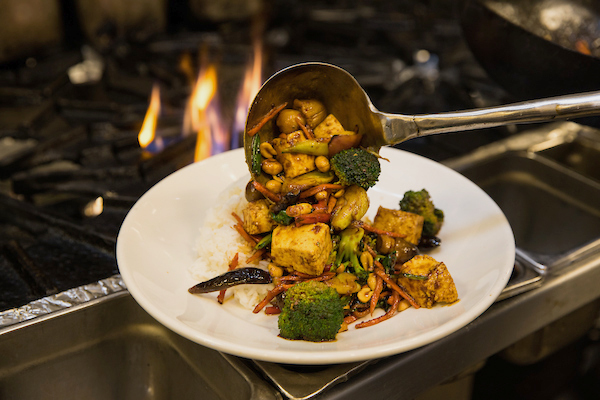 Here’s our pro tips on how to create the perfect stir-fry. 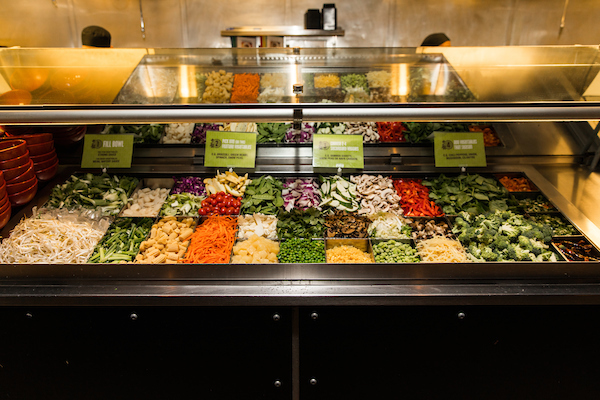 Choose from endless options from full-on vegetables, tofu, sliced chicken, crunchy sesame chicken, prime flank steak, shrimp, fresh Atlantic salmon or sea scallops. Get saucy with orange, teriyaki, Thai yellow curry, kung pao, shanghai ginger-garlic, Sichuan, Panang curry, Shanghai mushroom-ginger-garlic or spicy Thai green curry (both vegetarian and gluten-free sauces available). 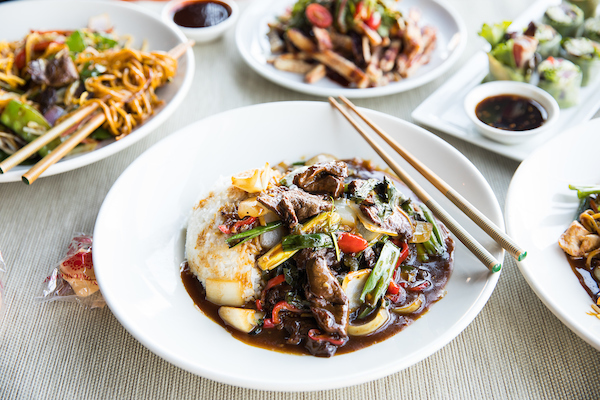 Soak up all that yumminess with jasmine rice, brown rice, vegetable fried rice, cauliflower “rice”, Chinese noodles, pad thai noodles, or chow fun noodles. 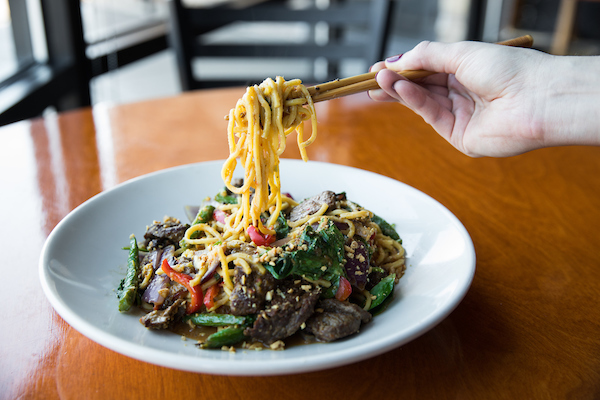 Hand your bowl off to the kitchen and anxiously await your custom stir-fry bowl creation to soon devour. –Remember that leafy green vegetables cook down, so be sure to fill up with a good variety of both leafy green veggies and root vegetables for good balance and texture. –At the very end of the stir-fry bar, we offer four different peppers to spice up your bowl – habaneros, jalapenos, serranos and blackened chiles. Beware… some of these peppers are hot! –When choosing your sauce, decide what you’re in the mood for. Is it sweet? Then orange or teriyaki it is! Something spicy? Choose Szechuan or Kung Pao. Something more simple and classic – go with the Chinese ginger garlic. Craving curry? Opt for the Spicy Thai Green Curry or Panang curry sauce, which adds a savory and creamy element to your dish. –Looking to cut carbs or just love cauliflower as much as we do? Swap out your rice for steamed cauliflower “rice”. 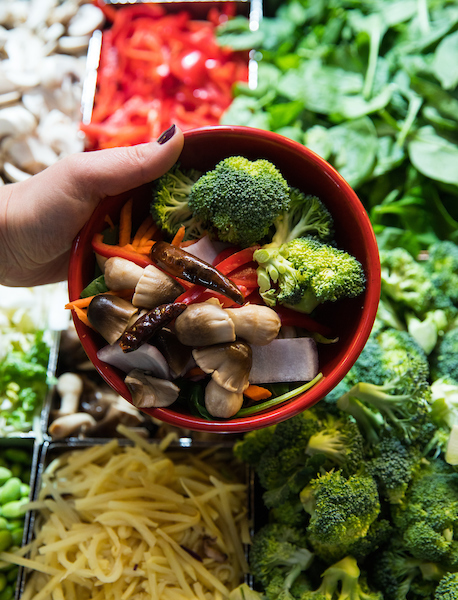 We’ve given you our tips and tricks to the freshest and tastiest stir-fry bowls, but what are some of your favorite additions? 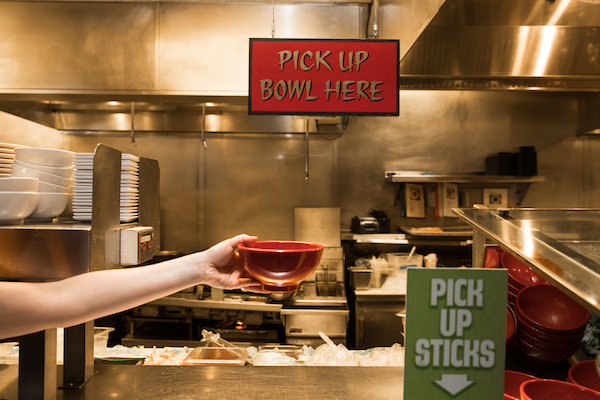 Plan your next trip to Big Bowl and let them “wok” your world. 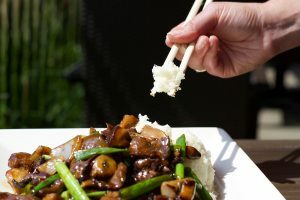 For reservations, please visit bigbowl.com and select your location of interest. Can’t get enough? Follow Big Bowl on Instagram, Facebook and Twitter. Looking for veggie-friendly options this new year? Take a look at our favorite vegetarian comfort food dishes here.